Sometimes I get a really simple game or a remake of a notoriously know game for review. It can turn up to be a great piece and therefore I am not quick to judge. In this case, it is a newest addition to the connect three genre with a classic diamond visuals. Jewels Combo from Micri-M is exactly what is seems to be. If' you have ever played any of the similar games before, you will immediately know what to do. Well, it's not that hard to be honest. Simply tap areas where more than three diamonds of the same shape and color line up to remove them from the game. New diamonds will fall from the top to fill the gaps. Get as many points as you can in a short time limit. So what does this game bring new to the genre? It seems that there is nothing. Apart from the gems there are a few power tiles that can break a whole line or a cross and add time, but that's it. It goes back to basics. The game visuals are sort of outdated as well. Players used to Candy Crush Saga will certainly feels like this game is a downgrade. There are the necessary sounds and a nice tune playing in the background. 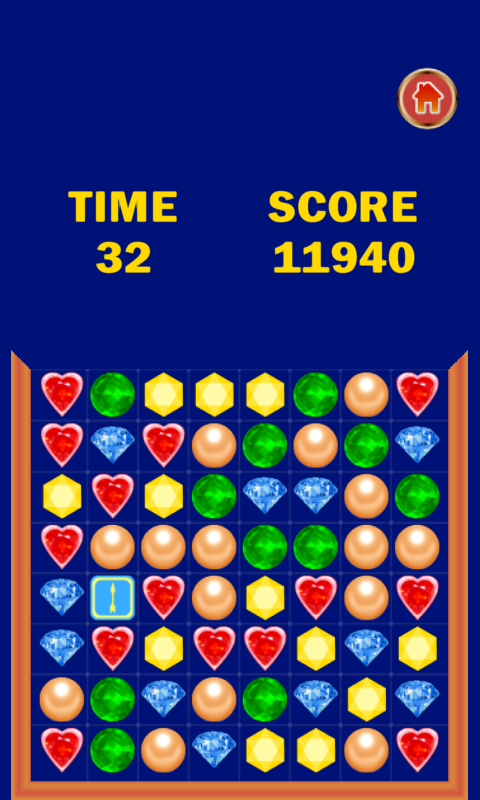 Jewels combo is a remake of a classic game that unfortunately doesn't bring anything new to captivate the players. Recently, Volterock released a second part of the Vocal Hazard Pack. It contains many high quality original vocals such as screams and shouts and can prove very useful to gamedevs. A the license? CC-BY!. The download links were posted on Reddit, you can join the discussion there. Did you buy Learning AndEngine and made a game? Let me know and get free ad here! 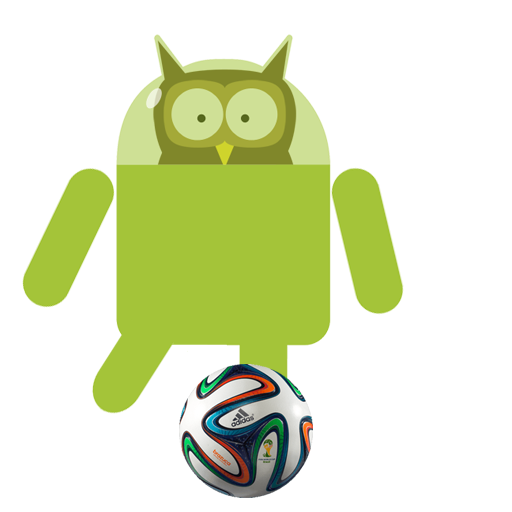 My book will teach you everything about Android game programming with AndEngine. It describes the publishing as well. If you have bought the book and want to get some free promotion, here's a deal. 1) Take a picture with you, the book (Kindle is fine, just pick a page with some screenshots I can recognize) and your game, and post it anywhere in social media. 2) Review the book on a website, where did you buy it, or Amazon if you have bought it on Packt website. 3) Send me the link to your photo, link to the review, link to Google Play and a small 125x125px button-banner with your advertisement. Use my email android@kul.is. I will put the ad to the right panel with the link to your game and if there will be more games, I will write an article about submitted entries. Right now it's a perfect time to publish a game. Christmas is coming and with millions of new Android phones to be sold to new gamers, perfect chance to get your game out there. Killer Ant Empire Game MMO Review - Ever wanted to command an army of ants? What sounds like a title of a B-movie is actually a nice little MMO game from Umz Games. Umz specializes in multiplayer and such games can be a lot of fun given you get somebody to play with. Because the main focus of the game is on skirmishes between ant colonies, Killer Ant Empire stands and falls on the number of people playing the game. The single player part is quite simple. Grow your colony by foraging food and killing prey. Some prey is docile and easy to get rid of, some fight back. There are many different types of food, but they work pretty much the same. After your scouts automatically discover food, send a number of foragers to the food source. The more foragers you have, the faster you can gather the food. There's also a limit of foragers on a single food item. I have written this tutorial style book for AndEngine beginners and it was published last month. Packt has given me 6 copies for a giveaway contest. The contest ended on 12th October. All you have to do is fill in your email in the contest form. You can also post about entering the contest on Facebook, Twitter, Google+ or your website. In the post, tell me why do you want this book and include this link: http://bit.ly/1udi1vz. It leads to the book page on Packt website. Don't forget to change the visibility of the post to public so I can actually see it. Please go to the form and submit all required information. The contest will run from 4th October until the end of 12th October. Good luck! Any questions? Just use the comments below! My book about AndEngine has finally been published. If you are interested in getting a copy, you can get one at Packt website or Amazon. The book is really basic. It teaches everything from downloading AndEngine to publishing the game. It covers most of the basic aspects of AndEngine and it does that by slowly developing a doodle-jump style game. The game is available in Google Play store. While reading the book, you will learn a bit about game design, how to design entities and also which software development pattern to use to make the code more readable. 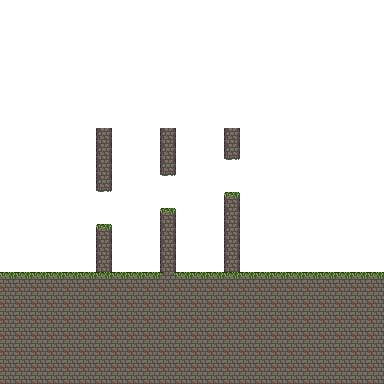 Moving sprites, getting input from user, using physics and playing sounds and music; this all is described as well. Tiny Helicopter by Micri-M is a simple game that can be categorized as tap-to-fly horizontal scroller. It is very small and starts very fast without any splash screens or menu screens. Right in to the game as you would expect from a simple game like this. The game itself probably doesn't need any further explanations. But just in case it's the first time you've ever played tap-to-fly game, the rules are very simple. You pilot a tiny helicopter through a horizontally scrolling level full of stalactites and stalagmites. The helicopter flies right on its own and it's up to you to control the vertical movement. You have to tap the screen to propel it upwards, and it falls downwards thanks to gravity. Crashing in to the pillars, floor or ceiling means game over. 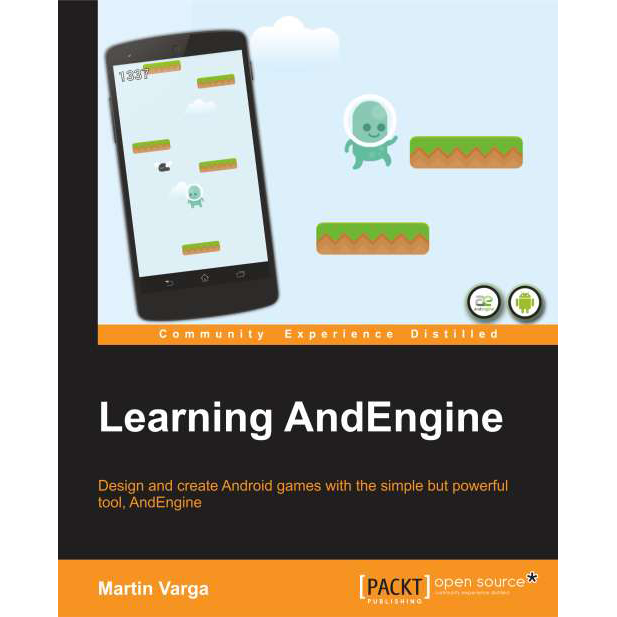 Learning AndEngine - My Book about How to Create a Simple Android Game is Coming Soon! I have finished the last chapter of my book and half of the chapters are finalized by the publisher. Right now the technical editor is making sure the book looks good and checks for the last mistakes that has been left in the remaining chapters. It's been a great journey and I am looking forward to holding the book in my hands. According to the contract, I can use a little piece of the material in the book here on this website, so I am going to take a piece of code and post a short tutorial. If you are interested in seeing the piece, let me know! (comments, facebook, twitter, g+). The game starts with an advertisement, which probably immediately deters some of the potential players and it's a shame, because the game is not bad. Unfortunately at least on my phone the ad takes some time to load. First it interrupts the music and shows a black screen for just about enough time that it almost looks like the game hangs at the beginning. Pocket Fishing by PageNet throws you right into the middle of the action as soon as the game starts. No delays, just tap the screen and you are sitting in the middle of a lake with a fishing rod ready to cast. Unless you are going for some special fish in the middle of Amazon rain forest or trying to get a huge sailfish from a speedboat in the middle of the sea, real fishing is a relaxing time where not much is actually happening. Unfortunately this doesn't work well with games in general, so let's see how Pocket Fishing deals with the lack of action. Most of the fishing sim games are quite complex and offer a plethora of options and settings to compensate the fact that there's not much happening in the game itself. Pocket Fishing has to deal with another caveat and that is the small screen and limited resources of mobile phones. In the Advanced AndEngine Examples - Render Texture and Fragment Shaders tutorial I've shown you how to use render texture and shaders to create some cool effects in AndEngine. At first nobody really wanted the source code but now I got a few requests, so here they are. You can get a free copy of the ebook! See the next article for more information. 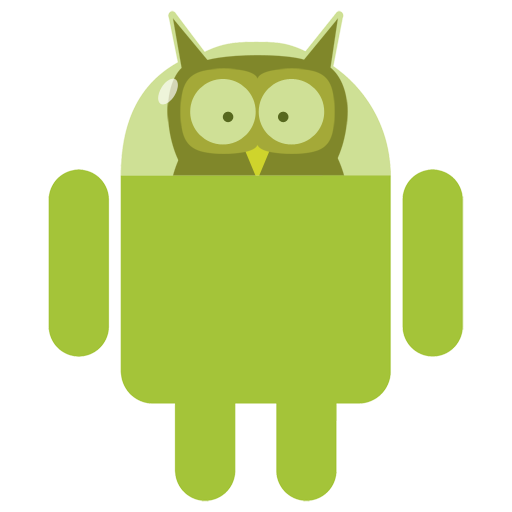 When I was in the middle of writing a step by step tutorial to making games for Android in AndEngine, I was approached by Packt Publishing representative with an offer to write a book. After an initial exchange of ideas about what the new AndEngine book should be about, we agreed on creating a really basic book that would require only a basic knowledge of Java and guide the readers through all steps starting from installing the required software all the way to publishing a game. This book is called Learning AndEngine and it has been published in September 2014. My book was the reason why I stopped writing the long tutorial for this website. The game I was trying to make here was a bit too difficult and I was actually glad I can start again. Since I learned from my mistake I believe the example game in the book is very easy to understand and will be a great starting point for people who want to use AndEngine to make games. The writing style is similar to my tutorials, but it's more detailed. If you have any questions about the book, you can contact me on Twitter, Facebook or Google+. June round-up is coming a bit late, because I was on a long holiday. However nice games were submitted, so here are the top three as always! FIFA World Cup 2014 in Brazil is one of the major holidays this year. The game developers couldn't stay behind and even though I am just a small fish, I am getting football and soccer related games to review, too. I wrote about one football game before. It is called Nation Soccer and its source code is available as well. One of the submitted games is basically a highly polished variant of this game. It might be worth checking the source code out! Anyway, here are the games submitted before the event starts in Brazil. A simple reaction/puzzle game that I have seen before, but the football theme suits it quite well. A good timewaster, but it got low ratings. Probably the levels get too repetitive after a while. This game is the one similar to Nation Soccer. The original game was fun and this one brings a lot of new elements. 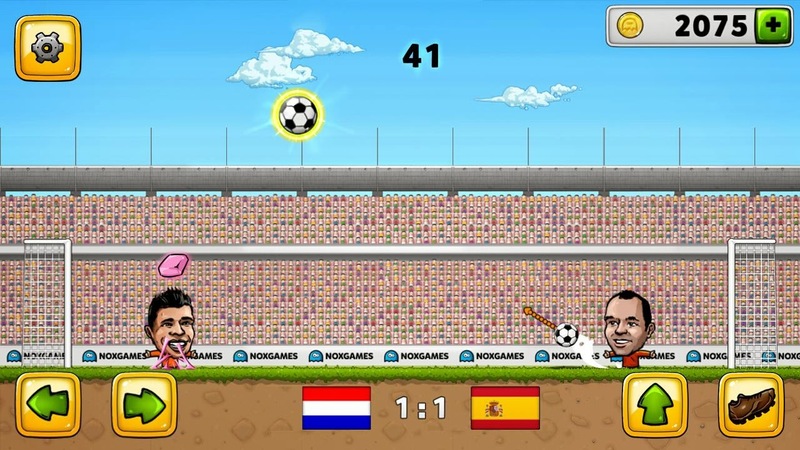 The game even has real footballers drawn as caricatures, really cute. The only thing missing is Brazuca! Well played with the keywords in the title. Finally a football game, when you actually play football :) It is 2.5D and it reminds me of games I used to play when I was little. The game play can't match games like FIFA 14, but not bad for a change. Unity's popularity is still rising. The active development, new features, the fact it's multiplatform and recently even the increased effort to fix all the bugs and tie the loose ends, this all makes Unity the number one choice for many developers. And the new 2D tools included in the standard package help to bring even more developers who used to work with 2D only engines to Unity. And just in time, Packt released a new book about making 100% 2D games in Unity. The new book is thinner than other books from Packt on engines and it is also a bit cheaper. It reads well, but it feels too short and it doesn't explain much of the code. The author used a different narrative than most other technical books. It will certainly appeal to those who prefer a more friendly and less technical approach, but unless you can read the code well, you might not understand everything. The book is full of illustrations and code examples and at the end of the book, the readers will end up with an almost finished game ready to be shipped. The code examples in the book and the code attached is C# only, but the code is simple and it was easy to understand for me. The new book about Unity 2D from Packt is easy to read quick guide that will teach you to create a simple and functional 2D game. It is written in a friendly and approachable style but it somewhat lacks important explanations. It's keenly priced right now, so it might be worth the buck. It's available on Packt website and also Amazon as always. Thanks to the kind people in Packt I have three copies of the e-book to giveaway (with source codes). Submit your name and email here if you want to enter the contest. May is over, time for another indie game round-up. This time there were a lot of really simple games submitted and still a lot of flappy bird clones. Seriously, it's time to stop flappy madness! I present four games this time. It was really hard to pick only three again, so here are my top four candidates from the submitted games in May. This is flappy bird kind of game done right. Insance difficulty, but different gameplay. Love the retro graphics. Reminded me of the old Dizzy from Codemasters! If you want to torture yourself a little (in a good way), definitely play it! 4 Pics 1 Football Player by CybernetX is a variant of 4 Pics One Word trivia game for all those football (or soccer if you prefer) fans out there. The rules of the trivia game are quite straightforward. You are given four visual hints - slightly obfuscated portrait photograph of a famous football player and three others such as the footballer's position in the field, his current league's or club's logo, his home country's flag or something special about the player. Your task is to guess the player's name by choosing the letter from a limited set which makes the job a little bit easier. In the previous part, I was talking about recording simple gifs from Genymotion. In part 2, let's record an AVI using the same technique as is used to capture footage from PC games. You can use any capture software available that can grab video from OpenGL games. I believe the most popular is Fraps, which is a benchmarking and recording tool. There are also alternatives such as Dxtory from ExKode and probably many others. However all these products have one thing in common. They exist is a free trial version that usually leaves an ugly watermark in the video and/or limit the length of the capture. If you know any free product, let me know. Ninja Volley 2 by ReixaCode is a 2D volleyball sport simulation game played by ninjas. And the game is even more awesome than it sounds! The rules are quite simple. Basically it's beach volleyball rules (two players in the field) in different settings. The fact that it is played by ninjas works really well not just beause ninjas are simply cool, but also because they appear and dissapear as needed making the game clear and the ball easier to follow. There are also RPG elements in the game. You need to gain experience to make your team stronger and make money to buy them better equipment. Finally, KitKat is coming to Xperia ZR. It has been confirmed by Sony that the phone is getting the update this month. It still might be delayed based on a region where you are. Kitkat 4.4 has been optimized for speed and memory consumption. Can't wait! Again, more games were submitted than ever before and I will probably have to hire someone to help me with them (I wish I could!). I started with three games in a round-up, last month it was four and today I picked total five games that I still keep in my phone and play. There are just too many good games submitted and I feel I should cover more of them. Here are April's top 5. If your game did not make it and was not even posted on Twitter, please make an account, follow me and mention me and the game in your tweet! Naradja: Garuda Nest Rescue Review - Reminds Me of Flappy Bird in a Good Way! Naradja: Garuda Nest Resque by Mechanimotion Entertainment is of course not a Flappy Bird clone, which is obvious from the screenshots alone. It is something like a mix of good old Paperboy and Temple Run. So why does it reminds me of it? Because it's hard, it's fun and and the fun comes from the difficulty. Garuda is a mythical bird in Hinduism and Buddhism and your task in this game is to feed little Garuda hatchlings after their parents mysteriously dissapeared. You play as Naradja, who is also a main character of an Indonesian novel and animated series. The game is presented in 3D and you run from left to right. 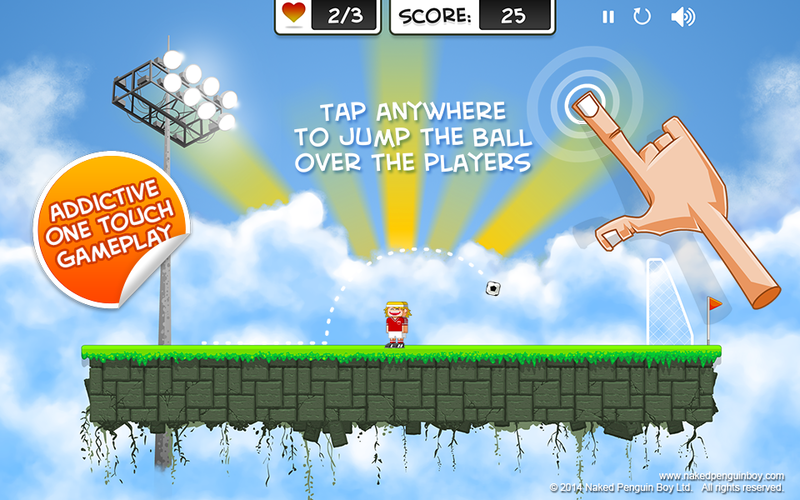 To control the character, you need to sweep up and down and tap two buttons: Throw (seed) and Jump. Sounds easy, but since the game is played in landscape mode as opposed to the portrait mode of similar runner games and everything moves quite fast, it takes some time to get used to it. 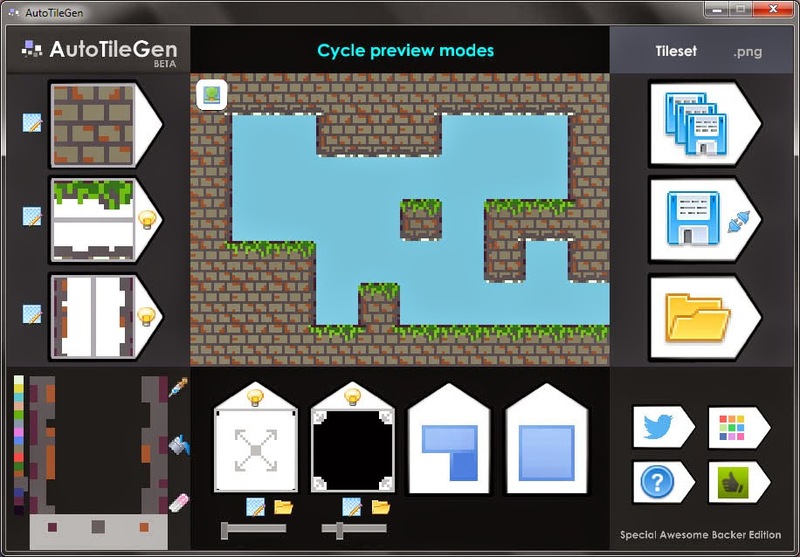 AutoTileGen is a new multiplatform tool from Javi Cepa that allows you to quickly generate complete 2D tilesets from just three special tiles. You only need to create a base tile, both sides in another tile and bottom and top in a third tile (caps) and you are done. It sounds too easy, but that's the reality. 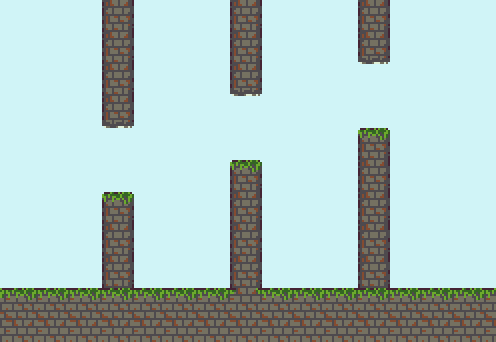 Creating 2D tileset for a platformer is a real breeze. 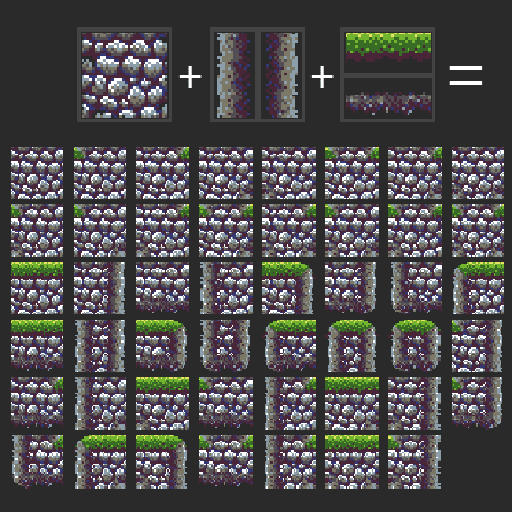 I can imagine it can be used for creating top-down tilesets too. There are basically two ways of creating the tiles. First, you prepare the tiles beforehand, upload them to AutoTileGen and just let it do its magic. The tool gives you some tools to tweak the borders, corner blends and overlaps, then save the tileset in a PNG. Second, you can use the built-in pixel editor to create the tiles in AutoTileGen. Both approaches can be combined. Check the video to get better idea on what AutoTileGen can do. The video shows the Unity plugin as well. 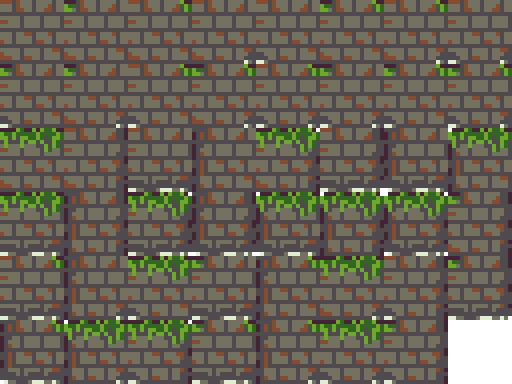 And the result, 16x16 complete tileset generated from AutoTileGen Pro. It is enlarged, because the original is too small. AutoTileGen is really great for creating tilesets. The community of users is not big yet and the crowdfunding is still on. It's the best time to evaluate the tool and maybe suggest some features. AutoTileGen comes in Free and Pro versions, but the Free on is really limited and Pro totally worth the $20. Pro version features built-in pixel editor, normal map generation and preview and custom corner masks and more. In combination with the Unity plugin, AutoTileGen significantly shortens the time to develop let's say a 2D platformer and makes it possible to the artistically impaired devs (like me) to make some cool art! Golf! (Masters Time) is a quiz game created and published by an indie developer Chris Nowell. It was released just before the Masters tournament starts in April. The game is a simple quiz where you are supposed to answer ten questions about the Masters golf tournament and its participants. The questions deal with the tournament's history and present. The questions are challenging for a person with only a basic golf knowledge but getting a perfect score should be easy for golf enthusiasts. The whole app is pretty basic. There's no music, no sharing of scores, just the ten question. Each question is accompanied by a golf related illustration. CLARC review - Captivating Puzzle Game with Partying Robots! As a reviewer I have a unique chance to play great games that I would normally miss. And I am glad that CLARC was submitted for review by its makers from GoldenTricycle, because it's absolutely awesome. 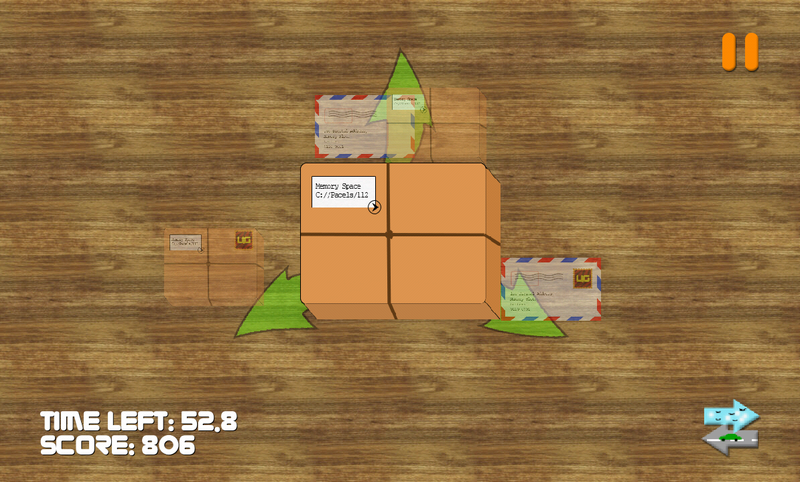 CLARC is a puzzle game about a little robot (called CLARC) that can pick up and move boxes around using a tractor beam. The description makes it sound very easy. But soon you will realize that this game will stretch your brain to the max. I've picked four games that are original, very well polished and fun. I picked three as usual and one special appearance. A game that I would normally not play at all, but a game that is not very well marketed for Android, but made some impact on other platforms. Umz Mini Games Review - Test Your Reactions and Compete with Friends! Umz Mini Games by Umz Games is a collection of seven reaction based games: Mail Sorter, Sprinter, Whacker, Samurai Duel, Balloon Pop, Fencing and Math Game. All of the games are very simple and ideal for a short break or a reaction training. And there's also multiplayer mode which adds another level of fun. Sprinter is a classic "tap-to-run" game. I found this one very easy to play against the programmed opponents. Competing with a human is a must! Whacker is a variant of whac-a-mole with a few extras - higher point moles, skulls that deduct points and lightnings that kill all moles at once. The Balloon Pop is a classic too. Some of the Balloons explode in smaller Balloons and some of them are dangerous and take a life. The Math Game is a basic math operation game with a timer. Again, it's much more fun with a human opponent. By far the most interesting game for me is the Samurai Duel. It tests reaction only and it's quite exciting for a game that only needs one tap! Two samurais are standing in front of each other and two red bars start to grow. 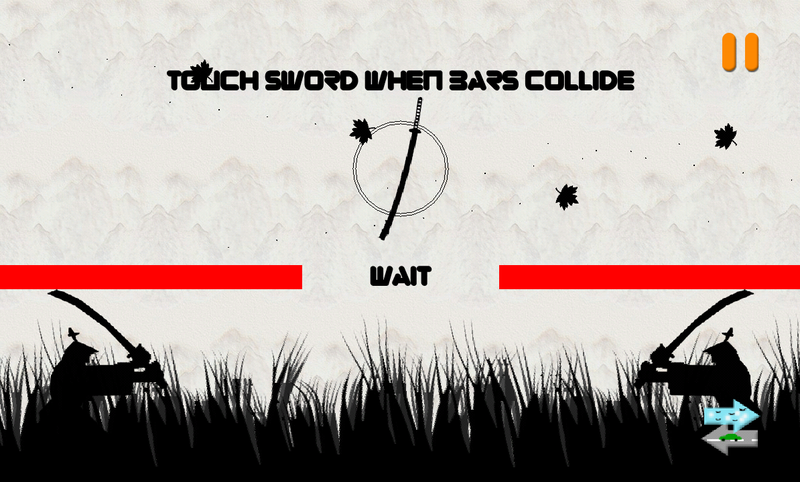 When they touch, the sword icon will dissapear and reappear randomly on the screen. If you tap it fast enough, you win. The last but not least is the Fencing game. It challenges your reaction and orientation as well. 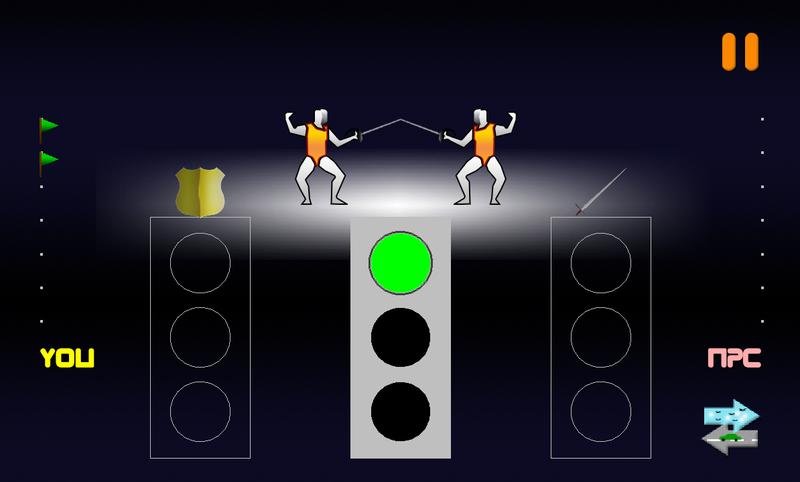 The goal is to score point by touching the correct green light followed by another green light in a very short time limit. If you make a mistake, you have a chance to parry the opponent's attack. Two mistakes and opponent will score a point. All the games are quite nice and entertaining, if you like these simple games. The advantage is that you have them all in one game. The addition of bluetooth multiplayer makes the games much more fun if you have a human opponent to compete against. Some of the games in single player could use a difficulty setting. When you master them, thet might get too easy. If you want a collection of simple games to shorten waiting in a queue or to make a daily commute more entertaining, try Umz Mini Games. Especially if you can play with someone over bluetooth. The games can also improve your reaction time. There are no ads in the game, it is completely free. Moreover there are more games coming in the future updates. 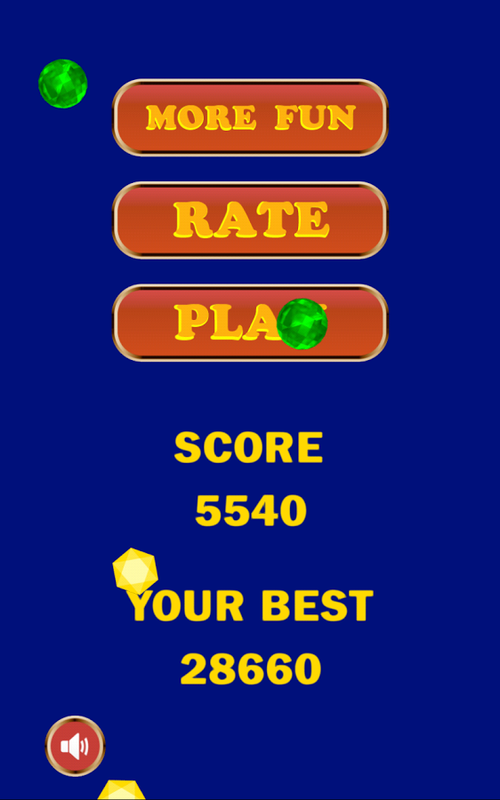 Please stop submitting new flappy bird clones. I am not going to review any of them. It worked for a while, but it doesn't work anymore. Seriously, stop making the clones for profit. I believe making a flappy clone at school or as a programming excercise is a good thing. If you are looking for a first game to learn some new engine, go ahead. Flappy Bird is an excellent choice. But do not expect to make money from it. On a side note, some people are very creative when using the flappy bird craze. Especially now, when Dong Nguyen announced he's going to release a new, better version of his game. Here's an excellent example how to use the phrase "new flappy bird" to attract more attention to the game called 2048. You will see this link when googling fo the said phrase. And the first paragraph of the article even mentions another famous game: "This latest addictive gaming sensation  is like Candy Crush for math geeks." SEO FTW. At first sight Magnomaze is a simple labyrinth puzzle, but the gameplay is more complicated than it seems. LUEXA, the studio behind the game, claims the game improves your senses and cognitive abilities and it surely is a smart puzzle. 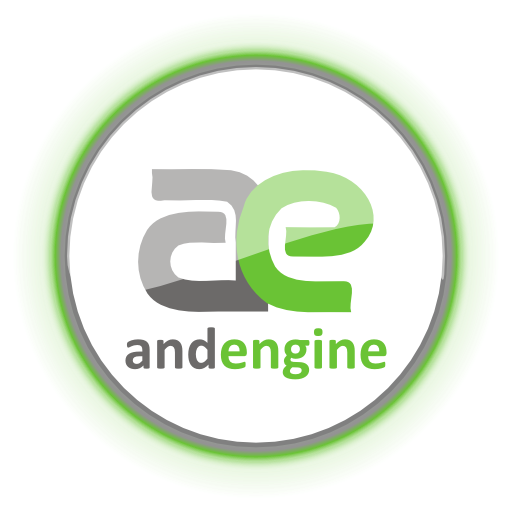 Due to my demanding full-time job and a few part-time activities such as writing a book about AndEngine (it has been published! ), I must take a break from writing the tutorial. The game is complete and I actually published it. You can find it in Google Play store. If you have followed the tutorial and would like to see how the final code looks like, you can. I am offerring the source code for download for 99¢ (that is about $1 :)). Sprites, tiled sprites and simple animations. Entity factories. Physics, bodies with multiple fixtures, collisions with filtering. Mouse joint. Every month I get more submissions and even though February is the shortest month, the increase is still noticeable. 13 games were submitted and one was reviewed. Again, I picked three that I consider the best from the rest that I would really like to review if I could. Excellent castle defense game. One of the few submitted games that I am keeping and playing. It has really nice graphics. You play a little monkey Koko Kornelius who is trying to defend his forest with a help of other animal friends. Each time you save a caged animal, they will join your side. The game has a few RPG elements, too. Overall well done, polished game that makes your time pass quickly. 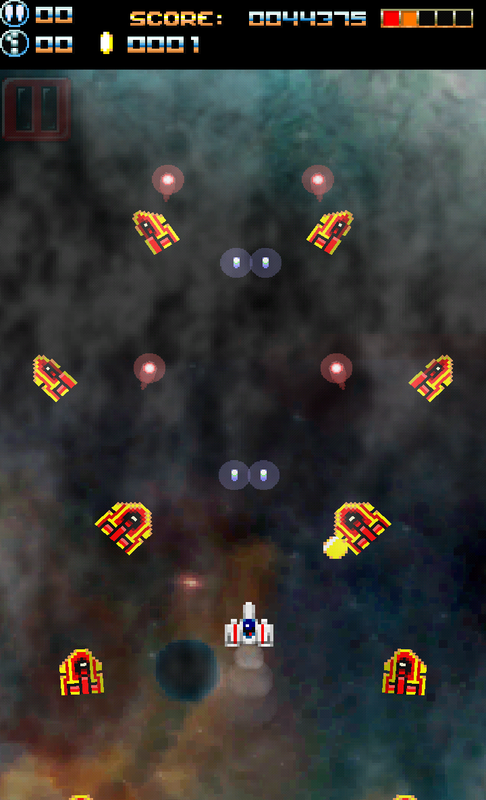 RetroShips - Space Shooter Review - Oldschool Shoot 'Em Up! 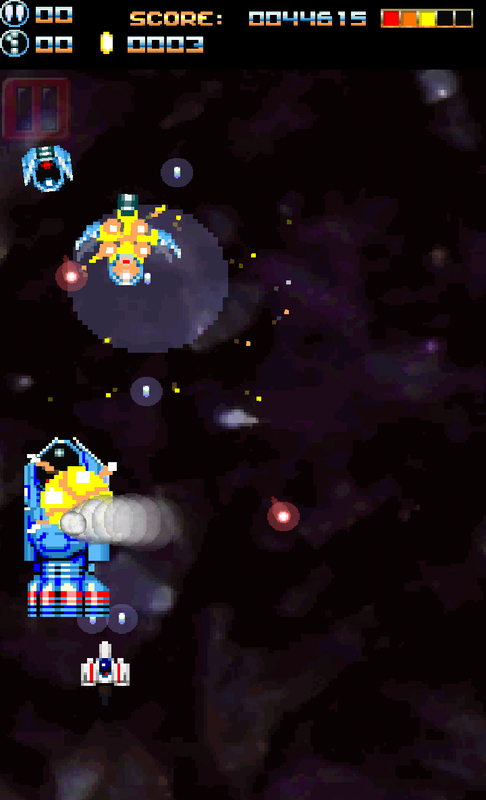 RetroShips by TLD GAMES is an oldschool vertical scrolling shoot 'em up game. 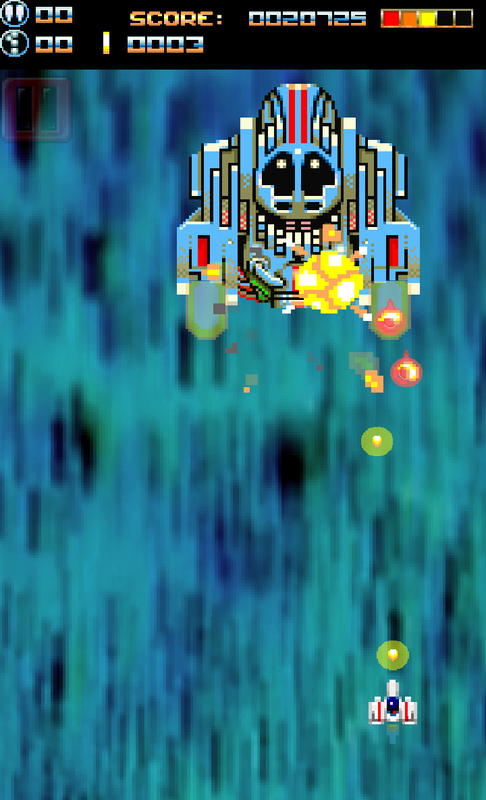 It features retro graphics, great music, very simple controls and ... bullets. Lots of bullets. The setup is pretty simple - you have a ship equipped with a cannon and there's a lot of things looking forward to destroying you. But there's more - you start with a basic single bullet gun, but by killing the mini-bosses you can get cool upgrades ranging from double barrel cannon, guided rockets to the ultimate kill-them-all megablast. You have only a very limited supply of lives - it takes just five hits to destroy your ship - and even on easy difficulty you will have to push your ship to the limits to survive. 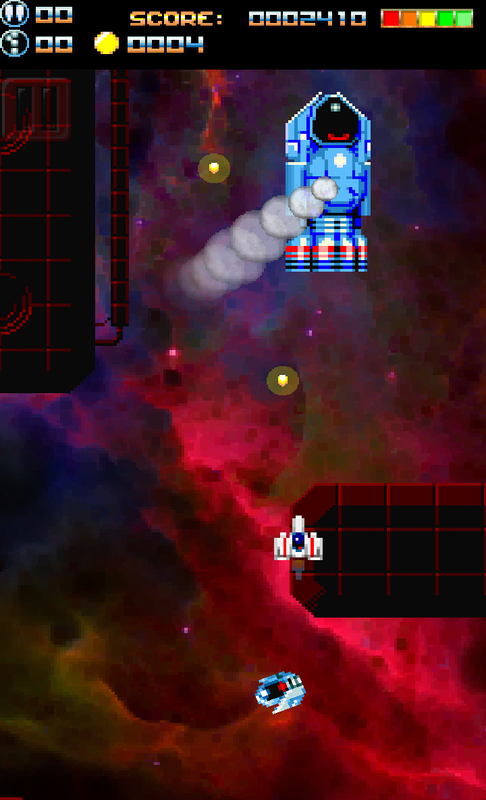 Each stage is divided into eight levels, where the eighth level is a boss fight. This plays very well on mobiles, when you might not have enough time to finish the whole stage at once. The boss fight is really challenging and thanks to the saved progress, you can go straight to it. The in-game currency system allows you to upgrade weapons which helps with the harder levels, too. The epic music playing throughout the game nicely adds to the action atmosphere. 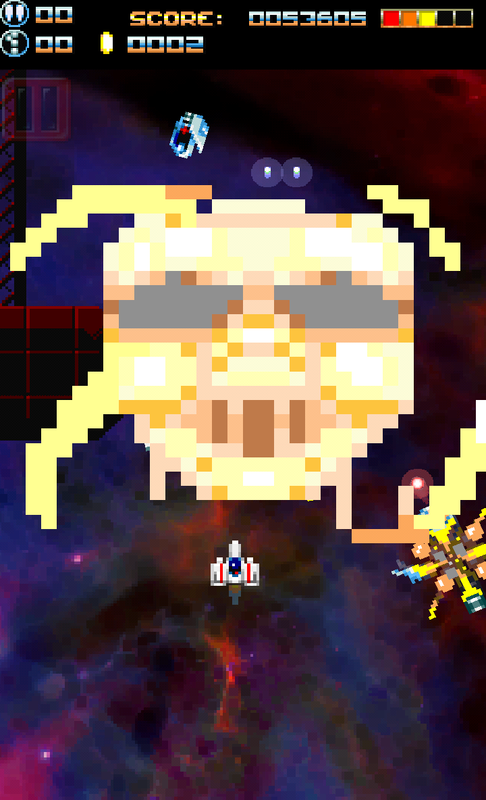 You will find yourself humming the tunes after you finish the nasty boss ship! When it comes to controls, RetroShips use only one finger. It takes some time to get used to it, because the ship is controlled by moving your finger over the screen. You need to find a position where you can comfortably move your ship without obstructing the view. But as soon as you find it, playing the game anywhere is a breeze. 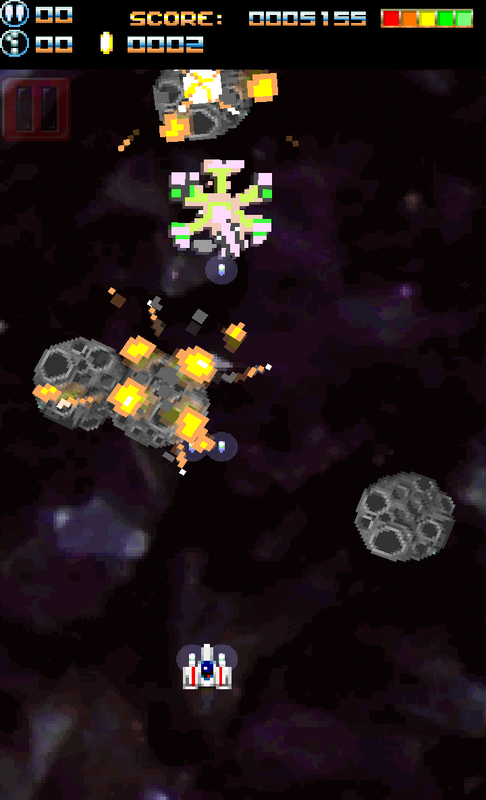 RetroShips is a great addition to the oldschool shoot 'em up genre. If you like similar games, you will like this one too. The simple controls and the arrangement of levels and stages make it easy to play the game anywhere, but the "hard" and unlockable "insane" difficulties greatly improve the replayability. The game is free, you can download it from Google Play store.